1. “PurPur” (Abo Tbileli 1 / Lado Gudiashvili Sq. ): Three minutes walking from the Liberty Square, upstairs, in a great vintage place you can have a cup of hot wine and nice talk. In the evening it can be accompanied with live music! Price level: around 10 lari. 2. Near Liberty Square there is “Warszawa Bar”, which I have also mentioned in my Bar-Hopping Route, offers very strong hot wine for 5 lari. Recently it helped me avoid having sore throat, by the way. Dzieki! 3. If you go down Kote Apkhazi (Leselidze) street, there will be a crossing with Anton Katolikosi str., and a nice vintage cafe on the third floor – “Cafe le toit”. For now, their version of mulled wine is the most delicious I’ve tried (though, the mug is not huge). The place itself is also very cute. 4. In wintertime the cheapest option would be: Turn right, pass by Gabriadze Theatre, cross this famous Peace bridge and proceed to Rike Park. There are several kiosks with different stuff like pop-corn, candies, beer (such a winter drink!) and also hot wine. Price: 3 lari. Pluses: park and nice view around, minuses: wine sort is too mainstream. 5. Now, walk a bit! 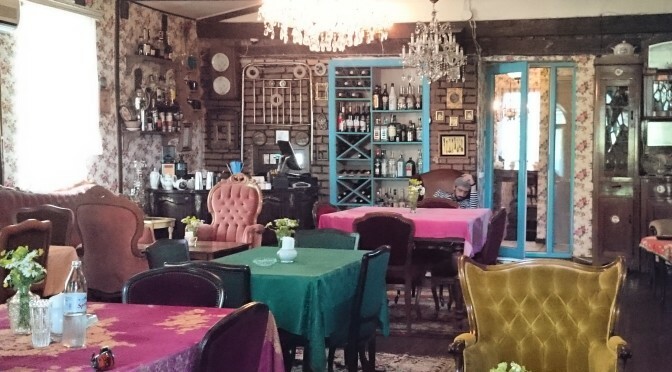 After strolling through the park and crossing the bridge again, you go up to Leselidze / Kote Apkhazi str., and don’t miss coffee house and gallery “Tilda”. You might call it a Ukrainian lobbyism, I don’t care, but the glintwein is really good there: only three famous sorts of wine are used, and spices are also of very high quality. Take pancakes, a piece of pie, and enjoy the atmosphere! Price: 7 lari. 6. Another good place to have a cup of hot wine is “Vinoground” on Erekle II street. They are going to start selling it, as it becomes really cold (or at least as real winter comes). Last year I liked it very much: it’s all because the wine selection is so good there! 7. If you go direction Meidani, you will see a wine store “Old Cellar” on Kote Aphkhazi (Leselidze) street 51. You can sit inside or buy a takeaway portion. It’s generally a good area to stroll with a cup of glintwein-to-go, so if you were walking without it before, just take it and head towards Metekhi or Avlabari area. 8. Chardeni str.14, “Jazz Cafe Aroma”: maybe one of the best glintweins in my life, both white and red. The price is also the highest: 12 lari/glass. 9. In Funicular Restaurant, the one you see at the top of mount Mtatsminda, they also prepare glintwein. You’ll definitely enjoy it together with the stunning view over Tbilisi! 10. 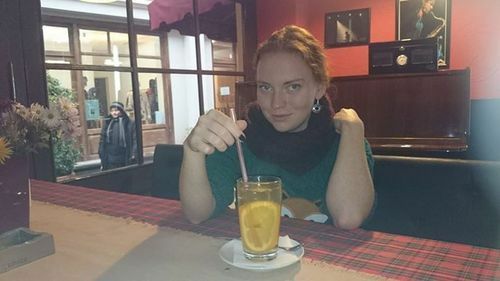 One of my favorites was also hot wine in “Amo Rame”, another vintage cafe almost behind the old parliament of Georgia at Ingorokva street. You get a fair portion there, and it tasted very good, especially in such a cozy environment. Of course, it’s a matter of taste, but in case you’ll taste glintwein in one of those places, and like it, feel free to say “Darikos gaumarjos” (“a toast to Dariko”)!